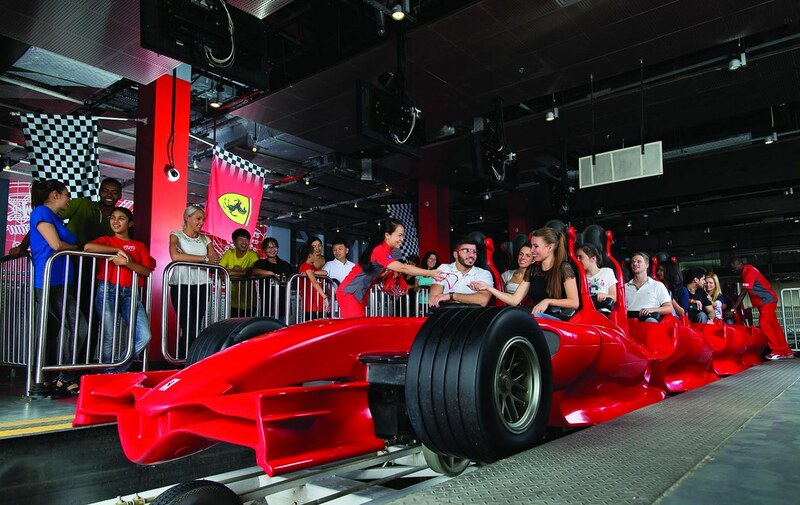 Legendary, famous throughout the globe Ferrari Park in Abu Dhabi is a must-visit place during your trip to the UAE. This is a special place where the blood boils in the veins, breathing stops, and emotions beat over the edge. There will be enough entertainments for everyone. Ferrari World is the first ever theme park on the planet, entirely dedicated to Ferrari cars. The world of Ferrari is a huge indoor park placed under a legendary and recognizable red roof with a 65-meter-long Ferrari logo, consisting of 20 rides, including the most breathtaking Formula Rossa, where the speed reaches 240 km/hour. 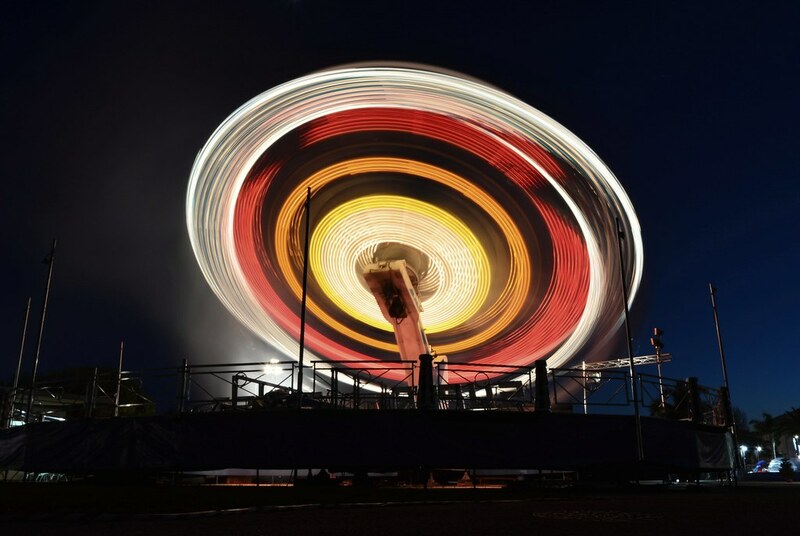 G-Force is an equally extreme attraction, which lifts the visitors of the park up to the height of 62 meters, and then suddenly drops them down. It seems that the soul goes into the heels, but it’s very hard to repeat this ‘trick’ again. Also, there is a Ferrari museum called Galleria Ferrari, where you can enjoy all Ferrari models from 1947 to the present day. Opened in January 2013, Yas Waterworld is the stunning aqua park in Abu Dhabi, which has already become famous throughout the globe. Firstly, it’s impressive for its scale, as the park of water attractions occupies the space of 15 hectares, which equals to 15 standard football arenas. Impressive Arabic-style design is the second reason why Yas Waterworld is such a popular spot to relax. And, of course the last feature of the park is its high-tech equipment, which allows entertaining over 6 thousand visitors at once. There are 43 attractions in the park, including unique ones, which have no analogues in the world. One of them is, for example, ‘Dawwama’ – the water slide with the effect of a tornado, or ‘Slither’s Slide’ – an attraction including 6 slides-pipes in the form of snakes with turns, and special laser and light effects. 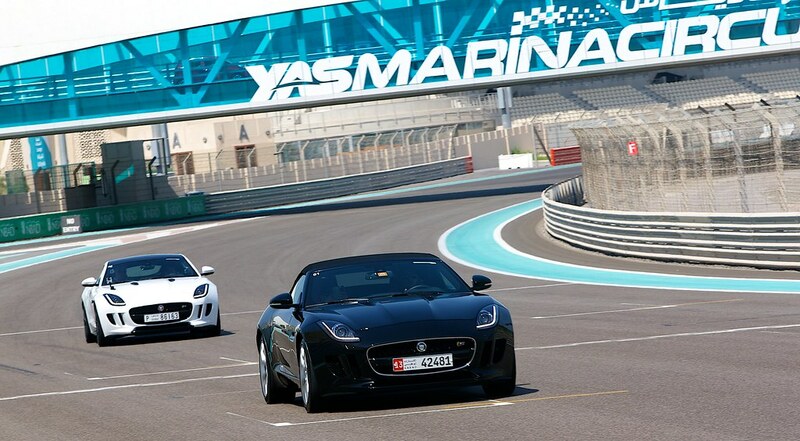 A 5.5-kilometer racing track called Yas Marina Circuit is the most innovative in Formula One. Since 2009, the last stage of the Formula-1 Championship season has been held there annually. Do you think you can come there only as a spectator? No, you’re wrong. Anyone can take a Sports Car Experience lesson and enjoy racing on Formula 3000 single-seater, Jaguar F-Type or kart. Also, there are small routes and small cars for kids. Get prepared for the fact that the movement along the track is counter-clockwise. By the way, if you stay in the local hotel – Yas Marina Hotel, you can watch exciting races directly from the window of your room. As you know, there are no gambling games in the UAE, since the Koran prohibits entertainment associated with gambling. So the only legalized local gambling establishment is the equestrian club. Equestrian races are held regularly there – the Cup of Champions, the Cup of the National Holiday of the Emirates, the President’s Cup, as well as Endurance Cup. The huge Abu Dhabi Equestrian Club is the most elite and fashionable club among the states of the Persian Gulf. A chic racetrack, a huge arena with obstacles, an ingenious instructional staff, comfortable visual spots, enchanting races, and the atmosphere of luxury – all this awaits you at the local equestrian club. It’s hard to find a better place for family entertainments than ‘Hili Fun City’ in Abu Dhabi. ‘Hili Fun City’ is 22 acres of entertaining attractions both for kids and their parents. Of course, for those who want to ‘refuel’ with adrenaline, park creators offer extreme rides. The fans of more radical entertainment can enjoy catamaran riding or boating. Want to explore the entire park, but walking is not your favorite activity? Welcome aboard the local train, which allows you to enjoy the scenery from a comfortable position. Abu Dhabi is a great destination full of breathtaking entertainments. Some of them are good for a family trip, but several ones will definitely satisfy even the most inveterate thrill seekers. Choose your favorite entertainment and try it during your next trip. Don’t forget to use Abu Dhabi car rental for easy getting between city destinations.